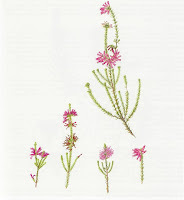 Erica verticillata can be seen as representing one of the worst “paradise lost” scenarios – the extinction of a species and severe loss of its natural habitat. But it is also a story of great hope, where a species extinct in the wild is saved by a few plants preserved in botanical garden collections. It is now being reintroduced into small isolated remnants of its natural habitat, where it is producing viable seed. 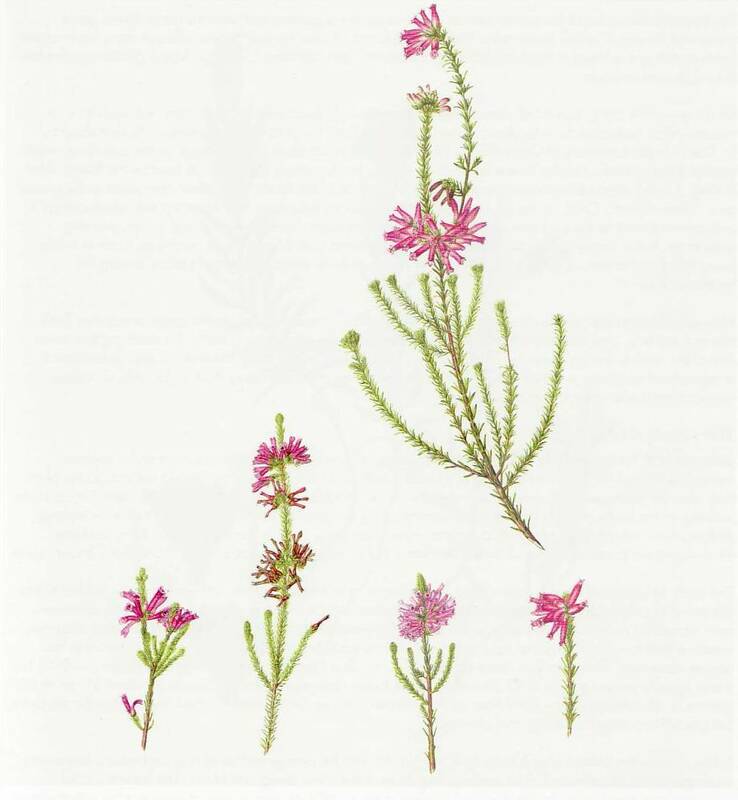 Erica verticillata is being saved by collaboration between dedicated horticulturists, botanists, conservationists, volunteers, civic and corporate entities in Cape Town and supported by colleagues in South Africa and round the world. However, its habitat continues to be threatened and its future, and that of other Acid Sand Plain Fynbos plants is still tenuous. I was speaking to a horticulturist at Kirstenbosch National Botanical Garden when she suggested I paint Erica verticillata. The next thing I knew, thanks to Anthony Hitchcock Nursery, Plant Collections and Cape Millennium Seed Bank Manager, I had a permit in my hand and a couple of horticulturists were taking me around Kirstenbosch Gardens collecting the different forms of Erica verticillata. I had read Anthony’s article in Veld & Flora, the Botanical Society of South Africa Magazine, “Restoration Conservation at Kirstenbosch” earlier and found the whole story quite amazing. I was committed from the start even though I quivered at the prospect of recording all those little leaves! Because of the help I received, I had the luxury of working from live plant materials, depicting five of the different forms discovered and those used in the breeding program.